Q. What is your plan to help provide homes people can afford? A. The housing shortage is a long-standing, complex problem that can only be solved by partnering with the private sector and the counties. To better understand the challenges, we met with representatives from the Land Use Research Foundation, the Building Industry Association and several home builders. We crafted a plan from those discussions and set a goal that was realistic and achievable: to produce at least 10,000 housing units across the state by 2020. The work ahead involves reducing bureaucratic barriers, strengthening financing tools and refocusing our priorities for people with low and moderate incomes. Streamlining policies for the Hawai‘i Housing Finance and Development Corporation to make building affordable units more feasible. Working with the Legislature to increase funding for the Rental Housing Revolving Fund for financing more rental housing and the Dwelling Unit Revolving Fund so the state can help with infrastructure (roads, waterlines) on state lands. Helping more homeless individuals and families into shelters and permanent housing with the social services they need and using the governor’s emergency proclamation authority to expedite action. Our strategy combines affordable housing, health and human services outreach, and public safety efforts that treat people with dignity instead of just shuffling them between encampments. Q. 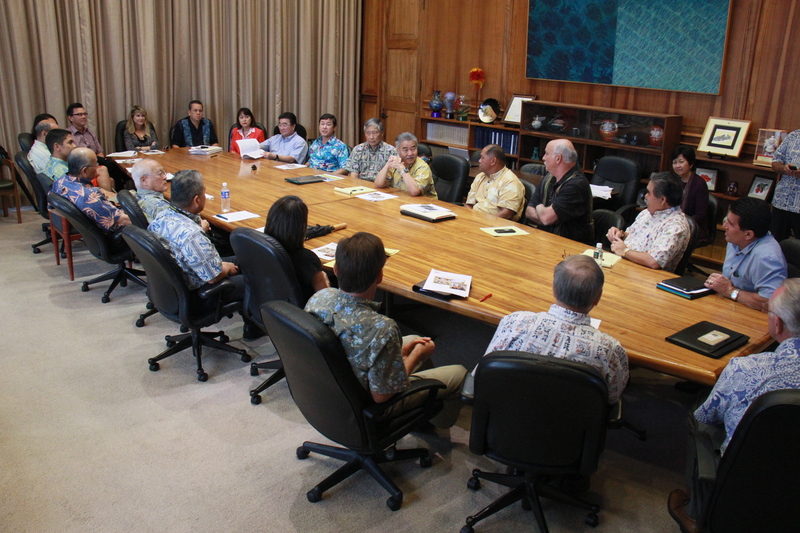 What does the future of housing look like for Hawai‘i ? A. The 10,000 housing unit goal is just the start. Besides accelerating delivery of affordable housing in the short run, my administration is formulating a production goal for the next 10 years focusing on multi-family rental housing units for lower-income families. We want to maximize state assets and work with our community partners to meet the housing demand for the future. Read more in our May issue.